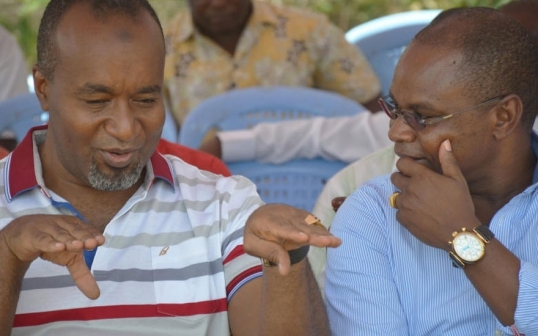 #Coast : At least 0.5% of 680,000 Mijikenda Votes participated on the repeat Presidential polls at the Coast. -Issa Juma Boy - Bana Kenya News, Real African Network Tubanane. At least 0.5% of the Coast natives voted in the repeated polls. Out of Mijikenda (680,000) votes, only 3,500 turned to vote for Uhuru and Raila Odinga yesterday. It seems only that percentage believes Uhuru Kenyatta presidency. "Thank you for my fellow Coast region people as are the majority of Voters. Mijikenda has always been oppressed by the former governments. Thank you for those who stayed home. We will not allow such things happen at the coast. The bigger percentage you see on the media from the coast are not our votes they belong to the upcountry tribes." said Issa Juma Boy. The Kilifi County Governor Amason Kingi and Mombasa Governor Hassan Joho will be expected to give their remarks over the same today or Tomorrow. Kisauni Mp Ali Mbogo thanked the people of Kisauni for staying at home. "We did not have violence as always in Kisauni, our people stayed at home and no elections took place in our constituency," he said. Despite the vote calling by the Mining CS Dan Kazungu, Hon Ken Nyale, Gideon Mung'aro, Hon Salim Mvurya and Kazungu Kambi, the Mijikenda community votes were below an MCA winning threshold at the Coast.